Seals Sija and Babyface Video Chat each other with "Seal Time" to keep in touch after being separated. It’ll make you bark for joy. Two seals in the United Kingdom are making their long-distance relationship work with the help of FaceTime. Sija and Babyface are two common seals that were separated after living together for more than seven years and recently reconnected through video chat, or “SealTime,” according to officials from a park where one of the animals is living. Sija and Babyface both lived in the Cornish Seal Sanctuary in the U.K. The seals defied odds when the couple had two seal pups, even though Sija was taking contraception and Babyface was thought too old to breed, said officials from Weymouth Sea Life Adventure Park. After Sija’s second pregnancy, it was decided that the two seals needed to be separated to prevent the birth of any more pups, the officials said. This May, Sija was moved to a female-only enclosure in Weymouth Sea Life Adventure Park, where, trainers say, she is thriving and happy in her new home. However, the animal care team thought she probably missed her old friend and arranged for the two seals to see each other again through FaceTime. “Sija has settled in really well with the other girls here, but we thought it would be nice for her and Babyface to keep in touch, so we’ve arranged a video link,” said Fiona Smith, the displays curator at Weymouth Sea Life. 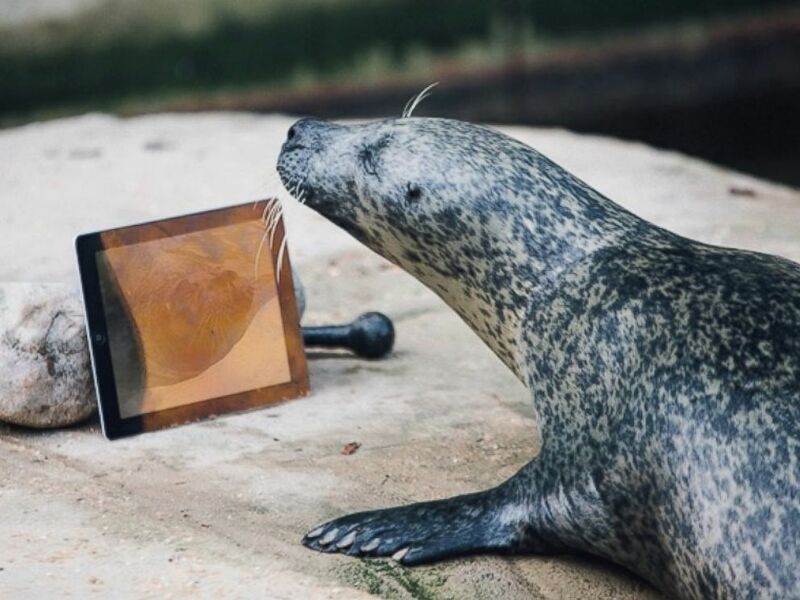 “At first, the seals were both unsure about approaching the iPad, but once they saw each other, they nosed up to it, which was really nice to see. It’s definitely the most high-tech enclosure we have at Weymouth Sea Life, so we’re really pleased that SealTime is a success,” Smith said.